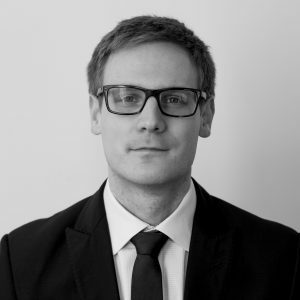 After joining UCLB, UCL’s technology transfer office, in February 2015 as a Project Development Manager Dominik took over the role as Business Manager in August 2016. He is responsible for development and commercialisation of IP arising from the UCL Cancer Institute and also supports these activities for UCL’s Institute of Child Health, and Great Ormond Street Hospital NHS Foundation Trust. Prior to joining UCLB, Dominik has held different R&D roles focusing on potential research and development collaborations within Nobel Biocare and BTG Plc. Dominik has significant experience in technology transfer, early stage collaborations and commercialisation within the life sciences sector. Dominik holds a degree in Life Science Technologies from the University of Applied Sciences Northwestern Switzerland and an MSc in Innovation and Management from Imperial College Business School.